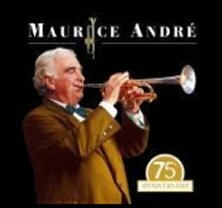 this chapter cannot be saved but only listened. 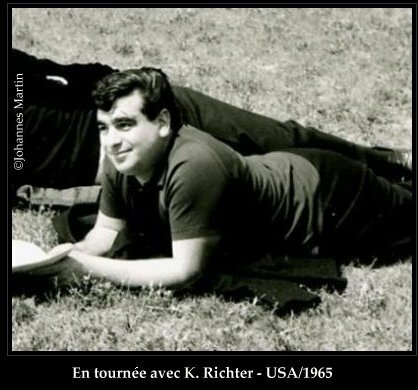 (opus quoted.) 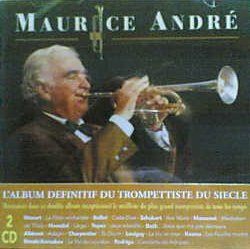 This discography was written by Olivier Delavault. 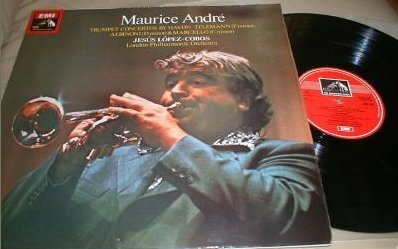 See also Lowrey's International Trumpet Discography. 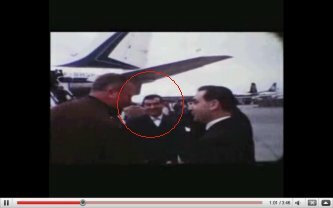 You would like to add informations to this database ? 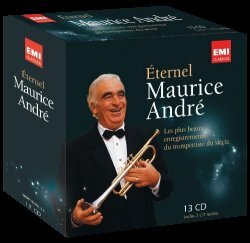 With all my thankings to Mr Jean-Noël GARDE for the following mp3 samples. 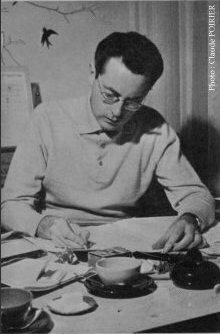 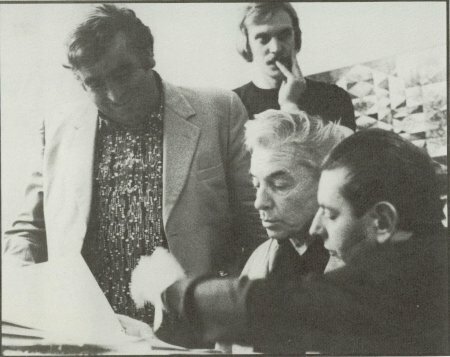 "Karajan was working too fast, i did not like that (...) He was a businessman. 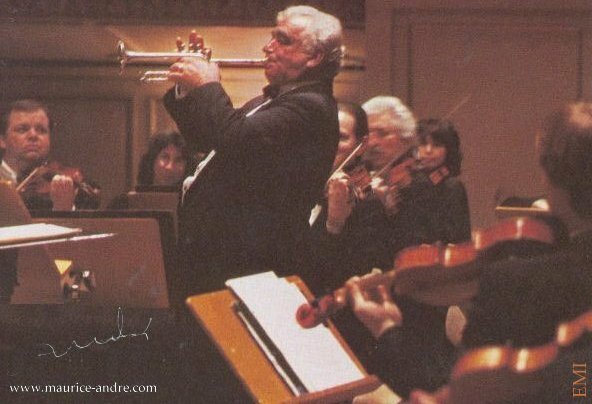 He was the very first conductor to do videos and was recording three time faster than the others." 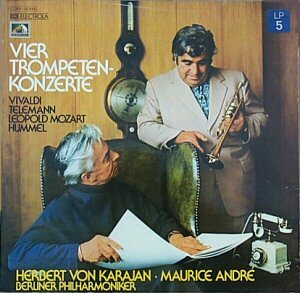 The most famous Vivaldi "Trumpet Concerto " (after Sonata op.2 n.4 RV20) was recorded by Maurice ANDRE & Von Karajan in 1974 for EMI. 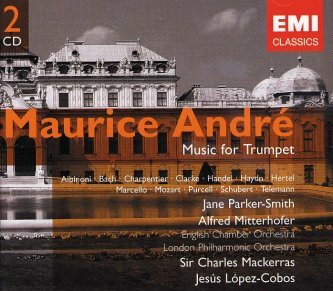 It was one of the greatest hits in all baroque trumpet history. 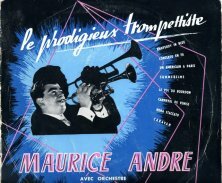 Maurice played it on the Bb piccolo tpt. 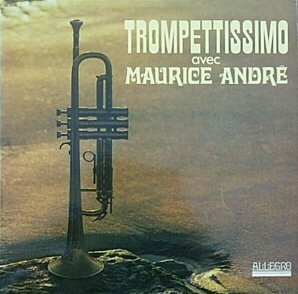 See an Eb version for Bb Trumpet. 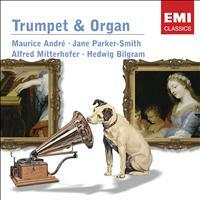 "My beloved recording is the Adagio of Albinoni with organist Jane Parker-Smith." 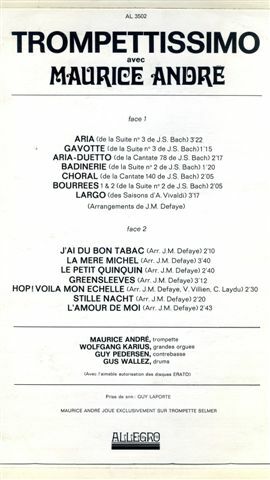 with superb arrangements written by Jean-Michel Defaye. 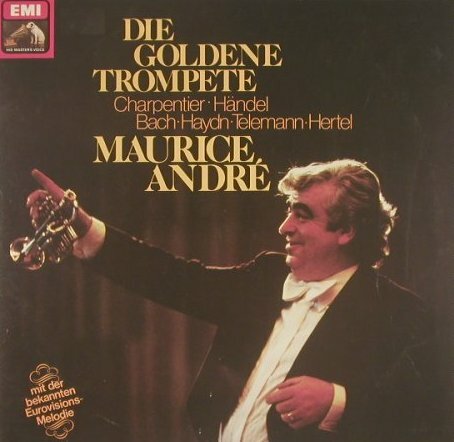 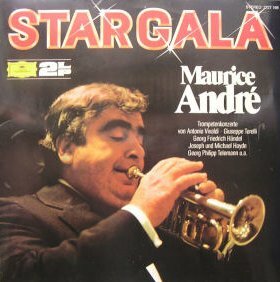 Note that, despite the cover image, Maurice is playing here only the piccolo trumpet (4 valves). 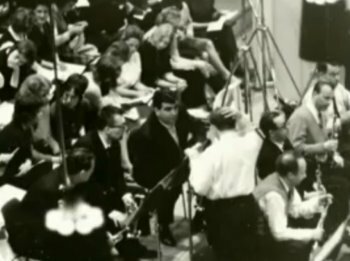 This documentary devoted to great german conductor Karl RICHTER (1936-1981) shows briefly Maurice from the 59th second. 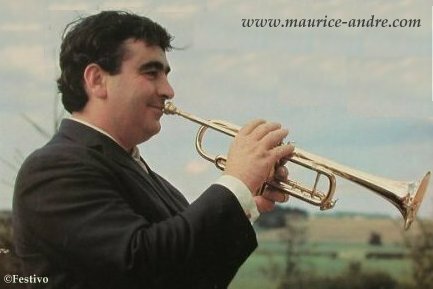 Our trumpet player signed with the MUNCHENER BACH CHOR following the 63 Munich's prize (see biography). 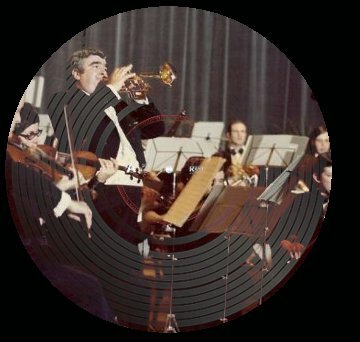 and RICHTER wanted a real musical predominance of the brass section. 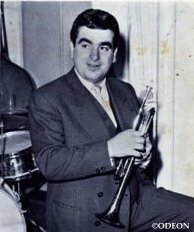 - Taking a young french trumpet player - winner of a famous trumpet competition - was also a good thing for concerts tours. 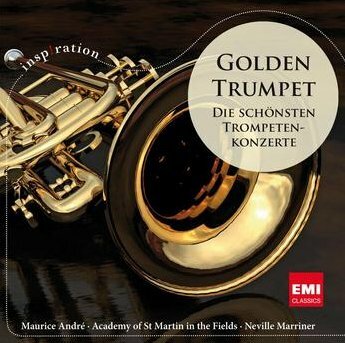 nobody has never heard the trumpet sounding like that in Bach' music. 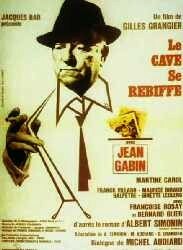 Listen to the gorgeous soundtrack from the movie "Le cave se rebiffe"
One of the greatest trumpet music pieces composed during the twentieth century... if not the greatest. 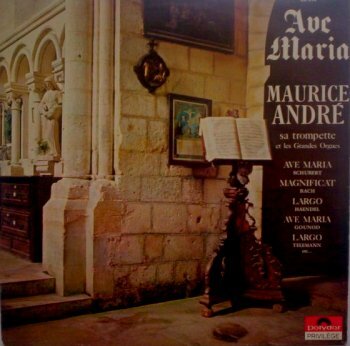 Samples from the LP " Ave Maria"
IS AVAILABLE, INTITLED "GOLDEN TRUMPET"
A new tribute to Maurice Andre.